We have a NEW UNISEX product for the Fall for both guys and girls! 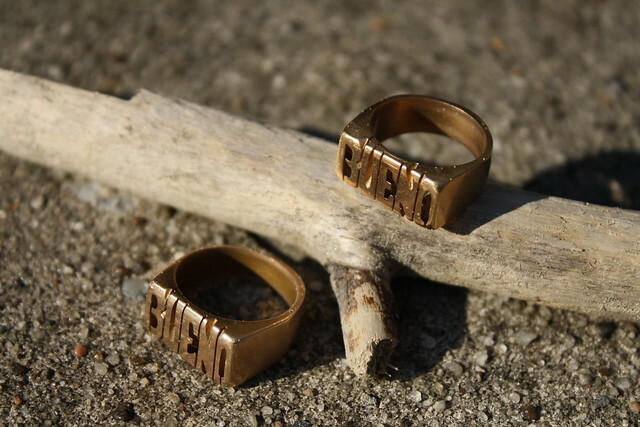 Brass 'BUENO' rings available in most sizes. We are not currently taking custom orders (metal, words, etc...), but we will continue to add a variety of words throughout the next few months. We absolutely love our new rings inspired by our dad's highschool ID ring and hope you will too! Head over to OUR SHOP to get your Bueno ID ring. p.s. 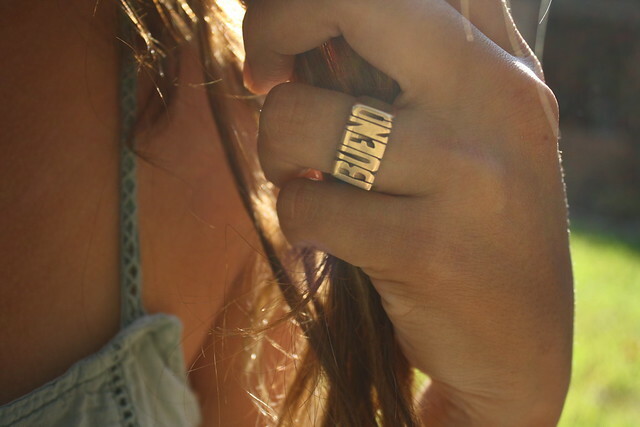 These make awesome BFF rings! Brandi and I haven't taken ours off in weeks.